That anyone is denying Russian collusion at this point is farcical, at best. Every morning, I jump on Google News to see the latest headlines and Russian collusion rears its ugly head in mere minutes--often mere seconds. Having done what I do for years now, I rolled my eyes, rolled up my shirt sleeves and began researching William F. Marshall. 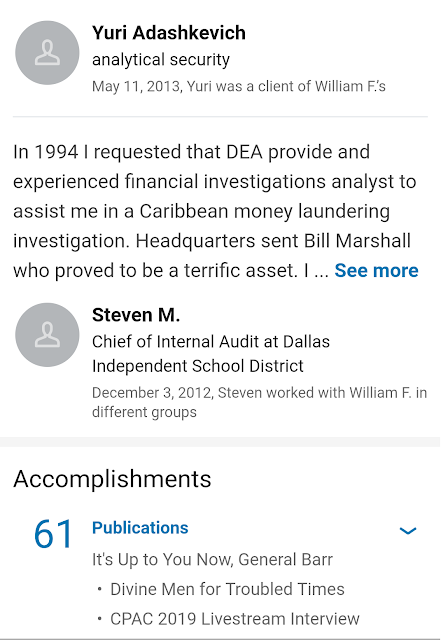 The first thing I found is that Mr. Marshall works as a "researcher" at Judicial Watch. Judicial Watch is often portrayed as a "Conservative watchdog" organization. This is not entirely true. Until Donald Trump occupied the Oval Office, Judicial Watch was an organization that dug up dirt on every presidential administration currently in office. But what Judicial Watch does (exceedingly well, I would add) is procure U.S. government documents via the Freedom of Information Act (FOIA). They do this SO well, in fact, that they receive the exact documents they are looking for, close to 100% of the time. For anyone familiar with the process of FOIA requests, this is actually...IMPOSSIBLE. That is, unless you happened to have knowledge of the existence of said document(s) ahead of time. Who would have the means, opportunity and motive to accomplish this? Can you think of no one? That would be the Russian SVR, folks. 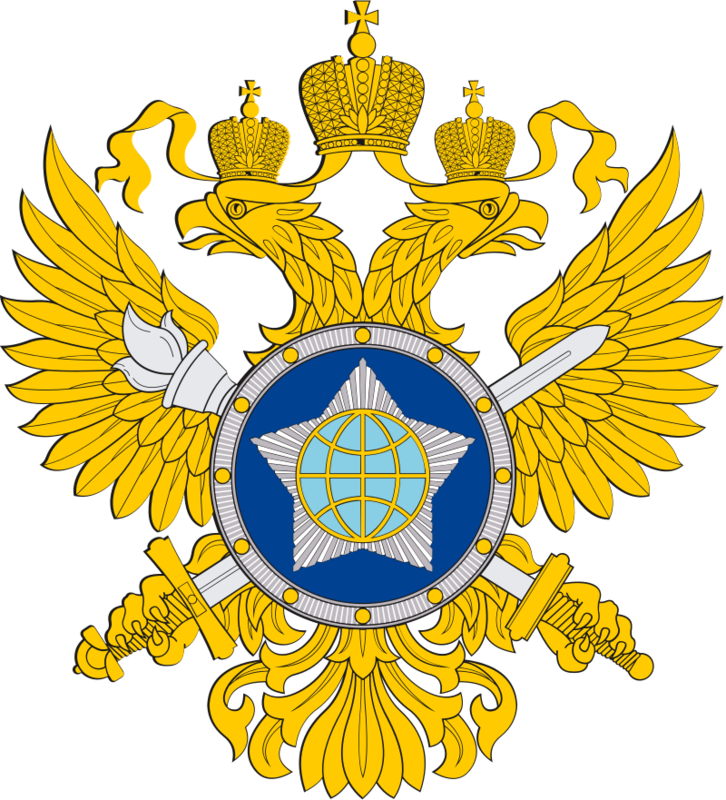 The Russian SVR have their tendrils solidly embedded in the machinations of Beltway bureaucracy. And as we already know, the Russians aren't shy about using every opportunity to spin and obfuscate Washington politics to their own advantage. 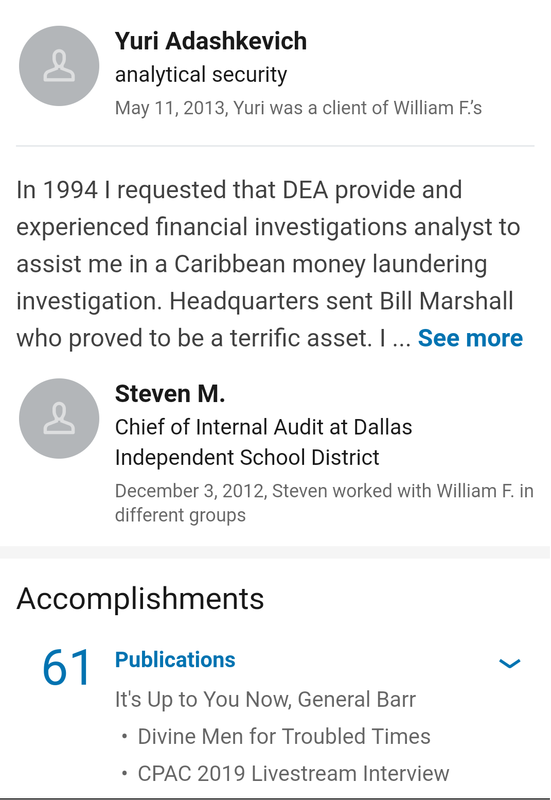 Aside from Mr. Marshall's history of publishing articles for the Birchers (eyeroll), he has some interesting items on his LinkedIn profile. Of course, this was while Louis Freeh was Director of the Federal Bureau Of Investigation. You may recall that Freeh pushed REALLY HARD for the U.S. government to coordinate counterterrorism and anti-corruption efforts with Russian authorities (eyeroll). Freeh has since worked as a consultant with the Russians, even working with Natalia Veselnitskaya (eyeroll). More recently, and perhaps to demonstrate the extent of his deep patriotism for America, Louis Freeh chose to become a dual citizen of both Italy and the United States. People who are still arguing Russian collusion is a myth are really annoying. Ignore the BS and stay the course.